The Passerini and Ugi processes are two of the best-known multicomponent reactions that are based on the isocyanide functional group. In each of these processes, the isocyanide reacts with two carbonyl components. 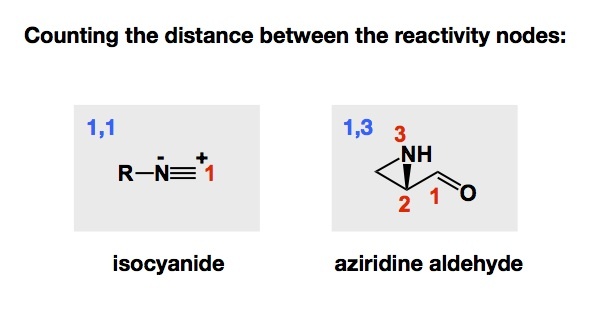 A carboxylic acid and an aldehyde are engaged in the Passerini process, while in the Ugi reaction it is the imine that reacts with the isocyanide instead of an aldehyde. 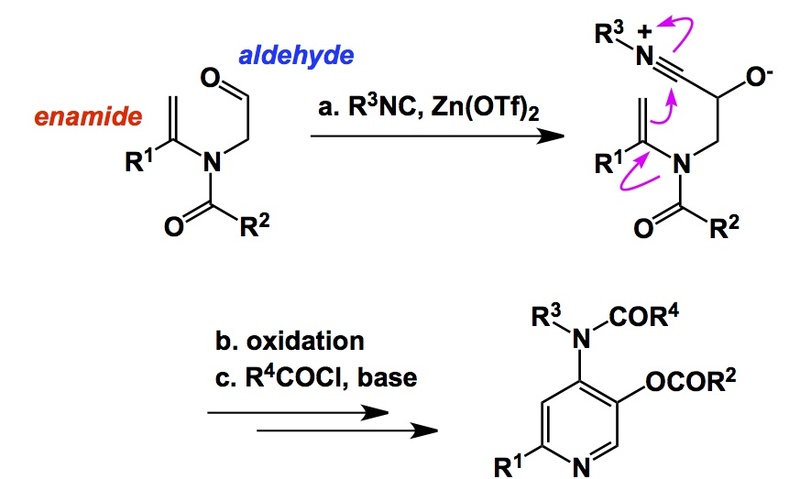 When we started looking at amphoteric aziridine aldehydes with Ryan Hili back in 2006, we thought of aziridine aldehydes as 1,3-molecules based on the distance between the nucleophilic and electrophilic nodes of reactivity. This was a nice way to differentiate from isocyanides.